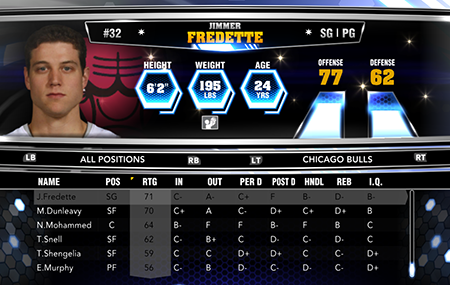 The latest NBA 2K14 roster from 2K Sports is now available for download on all platforms, featuring lineups that have been updated through March 4th, 2014. 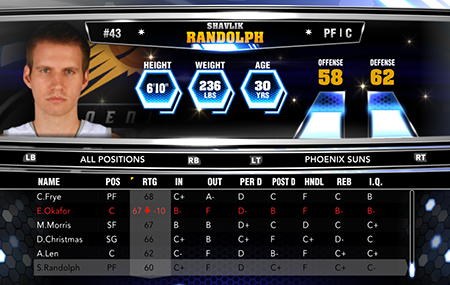 The update includes some player movement, injury updates and minor rating changes. Guard Jimmer Fredette, previously with the Sacramento Kings, is now a member of the Chicago Bulls per the deal he signed a day ago. The Phoenix Suns waived center Slava Kravtsov, and signed the power forward Shavlik Randolph, who played for the Boston Celtics last season. The Charlotte Bobcats waived seldom-used guard Ben Gordon, leaving their roster at 14 players. The update will reflect the injury to Gerald Wallace, Jamal Crawford, George Hill, Thabo Sefolosha, and Kevin Seraphin. Iman Shumpert, Xavier Henry, Darrell Arthur, Ty Lawson, Meyers Leonard, Kevin Martin and Nikola Pekovic are among many players who returned from injuries.